Inspired by the intellectual ferment at the turn of the century, educational thinkers, such as John Dewey, began to cast a bold vision of a new, progressive, American approach to education. Helen Parkhurst caught the spirit of change and created the Dalton Plan. Aiming to achieve a balance between each child's talents and the needs of the growing American community, Helen Parkhurst created an educational model that captured the progressive spirit of the age. Specifically, she had these objectives: to tailor each student's program to his or her needs, interests, and abilities; to promote both independence and dependability; and to enhance the student's social skills and sense of responsibility toward others. Parkhurst developed a three-part plan that continues to be the structural foundation of a Dalton education: House, Assignment, and Lab. Students at Dalton begin using the Dalton Plan from a very young age. At the First Program, children are presented with opportunities to make educational choices about their learning and in the process discover how to identify their interests and take responsibility for pursuing them. Over the years, Dalton students learn how to take responsibility for their own education. Dalton graduates frequently comment on how well prepared they were for college because the Dalton Plan taught them how to budget their time, seek out faculty, and take control of their own educational destinies. 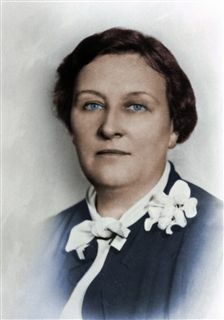 Today, as in the early years, Dalton is committed to educating students in accordance with the Dalton Plan developed by Helen Parkhurst. This unique philosophy of education, along with fine facilities and a dedicated faculty, continues to enhance Dalton's reputation as one of the nation's most innovative and successful educational institutions. "What does a pupil do when given, as he* is given by the Dalton Laboratory Plan, responsibility for the performance for such and such work? Instinctively he seeks the best way of achieving it. Then having decided, he proceeds to act upon that decision… Discussion helps to clarify his ideas and also his plan of procedure. When he comes to the end, the finished achievement takes on all the splendor of success. It embodies all he had thought and felt and lived during the time it has taken to complete. This is real experience. It is culture achieved through individual development and through collective cooperation. It is no longer school---it is life."